Authorities say a man was arrested after using a drone to drop anti-media leaflets over crowds at NFL games in Santa Clara and Oakland and that federal, state and local officials are investigating. SANTA CLARA, Calif. (AP) — A Northern California man was cited for flying a drone over two NFL games this weekend and dropping political leaflets over the stadiums, reigniting concerns over remote aircraft at major sports events. Federal and local laws prohibit flying drones near games, and authorities are examining additional ways to prevent the unmanned aircraft from hovering over crowds of tens of thousands of people after the flights Sunday, Santa Clara police Lt. Dan Moreno said. He declined to discuss the security measures being considered. “Those blades are sharp and spinning fast,” he said, adding that authorities also are concerned with terrorists arming drones, though no such attack has been reported in the United States. The drone released fliers criticizing television news media during the second quarter of the game, but most of the papers blew out of the stadium on the windy and rainy day, Moreno said. Leaflets also were dropped 30 miles (48 kilometers) away over Oakland-Alameda County Coliseum, where the Raiders hosted the Denver Broncos. The flights didn’t disrupt either game Sunday. The Federal Aviation Administration is investigating, spokesman Ian Gregor said. The agency banned drones during most major sporting events in 2014 after police detained people for using small drones at Carolina Panthers, University of Texas football games and others. But the ban hasn’t stopped the practice completely. Earlier this year, a drone crashed into the stands at Petco Park in San Diego during a baseball game, narrowly missing several fans. The drone operator wasn’t charged in that incident, but the mishap prompted Major League Baseball officials to review security procedures. In 2015, a high school teacher was arrested after he crashed his drone into the stands at the U.S. Open, interrupting play briefly. Santa Clara police declined to discuss what security is in place for drones, though Moreno said cameras are “everywhere,” at Levi’s Stadium, one of the NFL’s newest facilities that hosted the 2016 Super Bowl. Crews battling wildfires have also expressed frustration with drones endangering firefighting planes. Water-dropping flights have been canceled when remote-control planes have been spotted over fires. Levi Stadium’s surveillance cameras helped detectives track the drone to its operator, Moreno said. 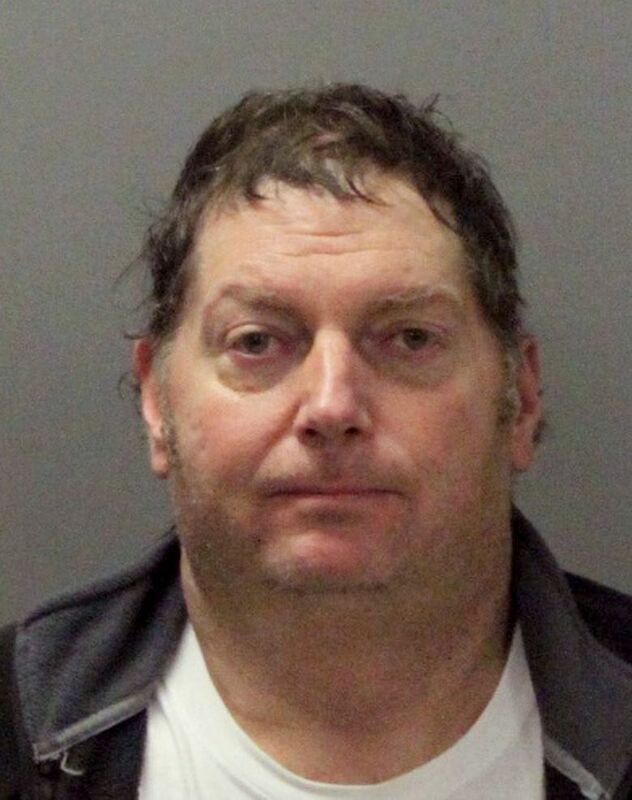 Mapes was seen driving away from the Santa Clara stadium and identified by a license plate, he said. Oakland officers spotted a drone over the coliseum and it dropped the fliers again, Moreno said. Mapes was arrested shortly afterward while leaving in his vehicle. Mapes did not respond to an inquiry sent through Facebook. He told San Francisco’s ABC affiliate KGO-TV that he dropped the leaflets in an attempt to disseminate his political beliefs, which he did not discuss in the brief interview. “I’ve been telling this story for 10 years,” he told the television station.